“Often with writing, you begin by writing too much. And out of it suddenly emerges one line that’s exactly right. That one line reveals the essence of the story. It’s a strange process that’s almost impossible to describe. I find that I might write pages of description — I love to write description — and then rereading it I see how I could set the mood in three sentences rather than three pages. So I do a great deal of cutting back.” — Charlotte Zolotow. “I have written a book in as short as an evening and as long as five years.” — Joanne Ryder. “I find that there are a lot of sentences I have in my early drafts that I really don’t need.” — Jean Craighead George. “My first version states the basic story. I will then try speaking it, hearing it. Then I’ll go on to a second version, a third, a fourth. At each stage, I will test it with my voice. Then I’ll go back to the writing. Finally, the story reaches the point where I can say to it, ‘You are alive. '” — Ashley Bryan. “I was on the train one day, coming into work from suburban New York. I heard, ‘Brown bear, brown bear, what do you see?’ So I wrote it down. Having no tablet with me, I wrote it on the newspaper. Then I wrote, ‘I see a red bird looking at me.’ Then I wrote down yellow duck, blue horse, green frog, purple cat, white dog, etc. Within fifteen minutes, the story was complete.” — Bill Martin Jr. 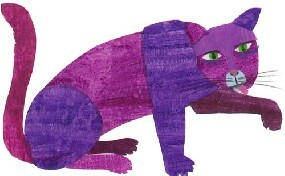 Illustration by Eric Carle (but you knew that).